It’s that time of year when coaches are sent out looking their absolute best to the UK Coach Rally. However, this year is that little bit more special as it is the Rally’s Diamond anniversary. Over those 60 years, the event has been a great showcase of the high standards of the industry, a tradition that stretches right back to 1955 when the very first one was hosted in Clacton. This year’s competition will, for the second year running, be held at the Alton Towers Resort, taking place on the weekend of 10 and 11 May. At the time of writing there are 42 coaches entered into the Rally, scraping the top of the venue’s maximum capacity. Entries include the latest additions to the fleet of Parrys International, winners of the coach of the year for the past three years in succession, though their two entries are promised stiff competition from the likes of Jay & Kay, Go Goodwins, Weardale, Edwards, DJ Coaches and others. On the Saturday morning, competitors will complete a 50 mile road rally route through the Staffordshire countryside – don’t forget Ordnance Surveys Landranger maps 118 and 119 or you might be in bother. The afternoon will see entrants take on driving challenges, with the day topped off by a glittering evening at the event’s special Diamond Dinner Dance. Entertainment for the night will consist of a casino, a live band and a dance floor. On Sunday, the vehicle entrants will line up and be judged, while drivers winning a place in the finals will compete in the last stage of the driving challenges. The afternoon will see the winners presented with their awards. As well as the modern coaches taking part in the event, there will also be a display of vintage vehicles. Additionally, the event also proves to be a good place to meet suppliers and organisations supporting the industry. A number of dealers, manufacturers and companies will be exhibiting. Not only is the Rally celebrating an anniversary, so too is Scania, which has attained its 50th year in the UK. Scania GB will be displaying a 12.45m Irizar i6 bodied Scania K360 4×2 coach, which it has sold to Gastonia Coaches from Surrey, who themselves are also in their 50th year. The 63-seater has a toilet and full executive specification. It will be officially handed over to the operator during the Rally. 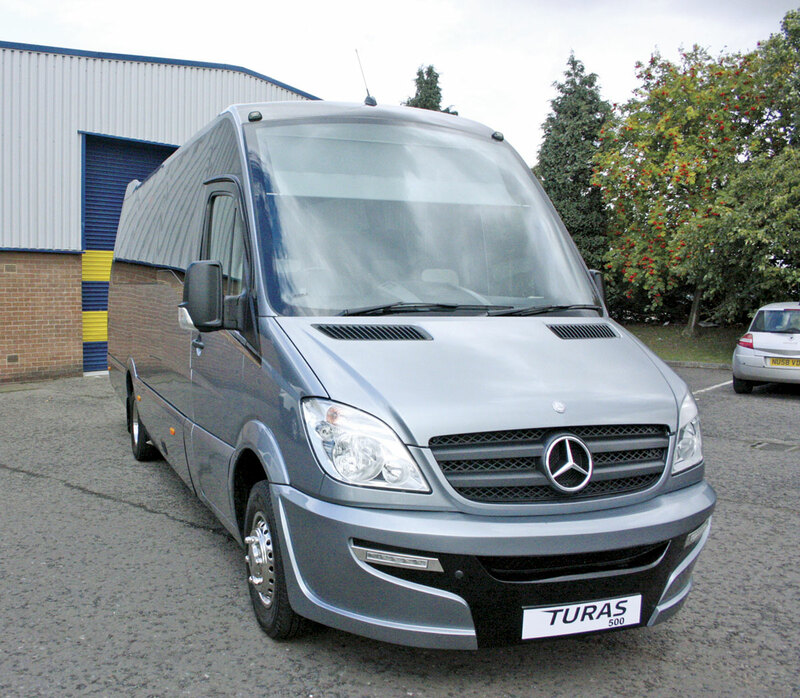 Examples from Minis to Midis’ 2014 Turas range will be on display, including its new Turas 500C Sprinter conversion, the upgraded Euro6 Turas 500 coach built variant and the yet to be launched Turas 900. The company describes the new vehicle as ‘ground breaking’. Also new and on display is EVM’s latest conversion, the Mercedes-Benz Sprinter Shuttle. The dealer is filling what it sees as a gap in the market place for an entry level model. The new vehicle is unlike the Mercedes-Benz TL17 or even the Ford/Peugeot/Fiat minibuses which the company claims have a mostly unused twin seat beside the driver and a ‘troublesome’ sliding door with no driver control. The manufacturer believes the new Shuttle is a ‘proper’ 17 seat minibus with front door entry via a three stage entry step and coach type seats for all passengers. Two examples of Plaxton Coach Sales’ range will be on show, one of which is expected to be a Panther. The other vehicle had yet to be confirmed at the time of going to press. Dawsonrentals Bus & Coach Ltd will be bringing a Plaxton too, in this case a Plaxton Leopard on a Volvo B8R chassis. 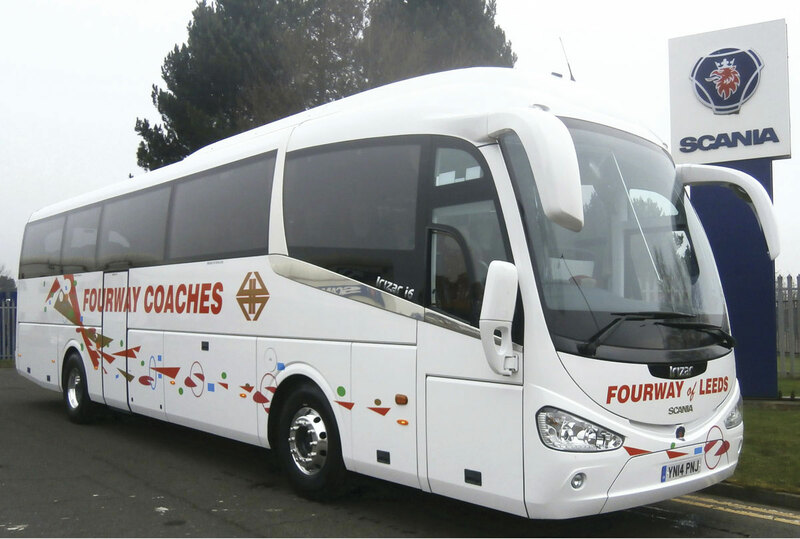 The 12.8m coach is powered by a Euro6 engine coupled to an automatic gearbox and has 57 seats and an air conditioning system. It is one of a batch of ten ordered. EvoBus is expected to present the new 13m tri-axle version of the Tourismo. Volvo Bus will also exhibit a 13m coach, specifically a Euro6 B8R Sunsundegui SC7 with Volvo I-Shift transmission. It is specified with 55/57 seats, a full audio visual package, a reversing camera, an air conditioning system, a fridge, a boiler, a centre demountable toilet and Dura-Bright Alcoa alloy wheels. It is highly likely that BASE Ltd will display one of its refurbished double deckers. The company has had ‘stupendous’ success with these vehicles, according to Director, Nick Dodgson, having recently sold 21 of them. Nick said, ‘We are looking forward to supporting the Rally and celebrating its diamond anniversary’. Moseley in the South is to display a 12.9m VDL Bova Futura 2 FHD 129.365PR powered by a DAF 9.2-litre 361bhp PR turbocharged intercooled Euro5 engine. Its specifications include 57 Vogel Conturo seats, a ZF automatic transmission with retarder, an entertainment package, a thermostatically controlled heating system, a centre sunken toilet, a water boiler, a Webasto heater and a reversing camera. Two coaches will be displayed by MAN Truck & Bus UK Ltd. One will be a 13m P20 tri-axle Tourliner with 53 seats and a Euro6 engine. The second will be a 12m P21 Tourliner bedecked in MAN TopUsed livery. 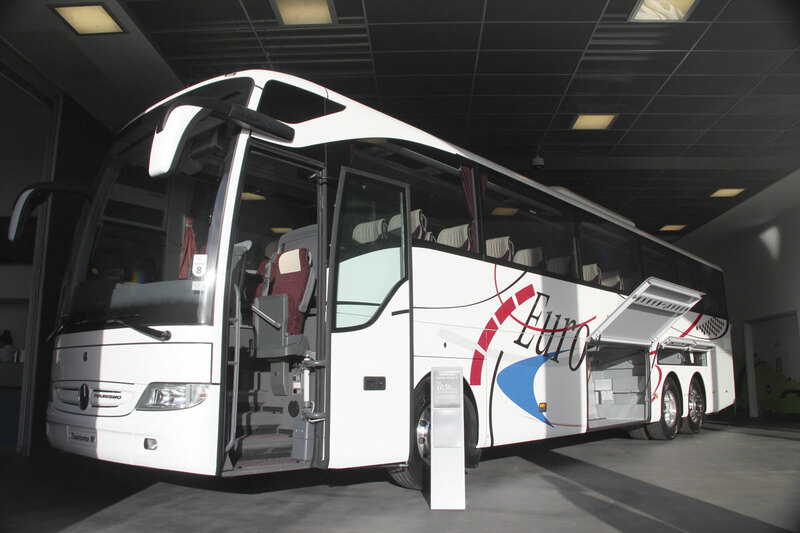 MAN TopUsed is the dealer’s quality approved used vehicle programme, which has now been extended to its coach products. 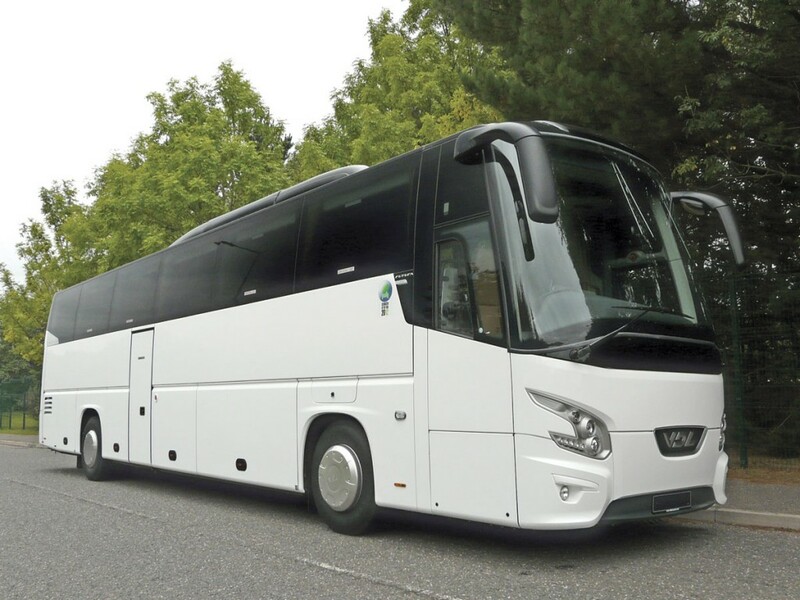 Two integral vehicles will be displayed by Irizar UK, including an i4 with 59 seats, two near side doors and manually operated luggage locker doors. This stock vehicle is powered by a DAF PR265 engine coupled with a ZF AS-Tronic automated gearbox. A second vehicle to be displayed will be an Irizar i6. Similarly powered by a DAF PR 265 engine coupled to a ZF AS-Tronic gearbox, it has 57 seats, a centre toilet, a DVD player with twin monitors, a dash mounted fridge, an air conditioning system, powered luggage locker doors and a driver’s safe. As well as vehicles, there will also be a few organisations and suppliers displaying. Fleet management software specialists, Distinctive Systems, will be at the Rally. 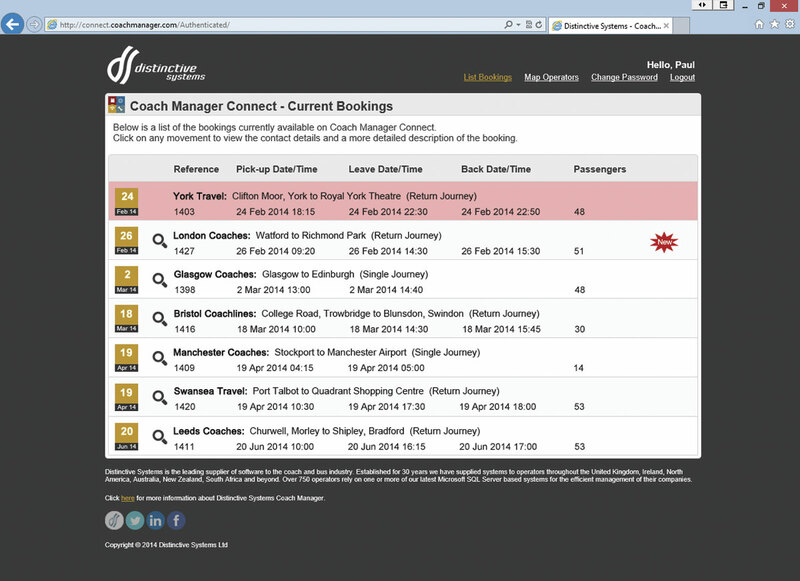 One of the company’s latest developments is an enhancement to its internet based Coach Manager Connect system. 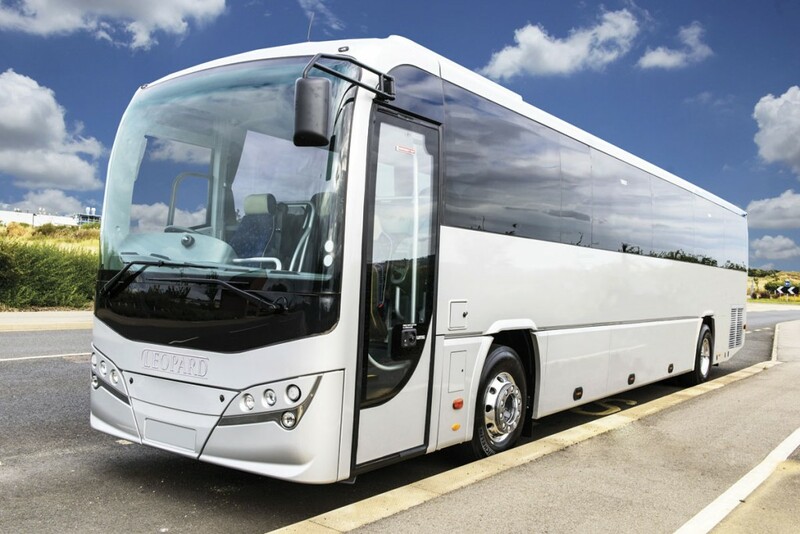 The advancement allows an operator to share bookings with not just other users of its Coach Manager private hire and contract booking system, but also with any operator in the country. Previously, available bookings were only open to operators using Coach Manager, but now when a booking is added to Connect, providing it is not flagged as private, its outline details are instantly published to everyone following Distinctive Systems on Twitter. Bus and Coach Glazing is supporting the 60th UK Coach Rally. 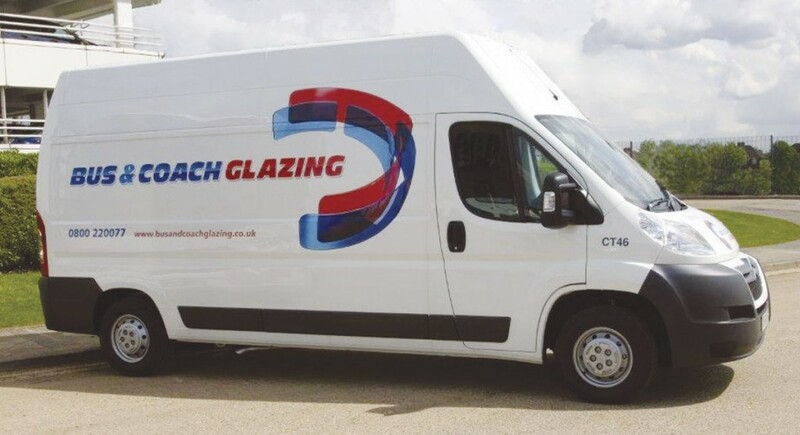 Regional Sales Manager, Bonnie Martin and her team will be on hand to advise on the most efficient glass replacement services available and if required, to arrange a glass condition check across your fleet. All official coach entries will be eligible for free glass cleaning and windscreen chip repairs on both of the Rally days. Representatives from Alton Towers resort will also be on hand to promote the attraction. Even if you are not entering the competition yourself, the Rally provides a good day out or weekend away. What’s more, being based at Alton Towers means there is fun for all the family.